All files should be submitted as by the deadline a single email with a single attached zip file to defourny@lehigh.edu, The body of the email should forward the registration confirmation email received at registration time, as the way to authenticate the submitting team. Good luck! Teams of at most three students can participate. The team leader must be a graduate student, though the other members of the team can be advanced undergraduate students. Each member of the team must be registered as a full-time student at a recognized educational institution during the Spring term of the 2018-2019 academic year. Students with any background are eligible. Collaboration between students from different departments is strongly encouraged. Each team must declare a team advisor with which the team may consult about the problem and their solution. It is the team advisor’s responsibility to ensure that the students have appropriate knowledge for the competition. The team advisor should not be involved as a participant in the solution process. As the conference is international, so is the competition. Teams from all over the world can participate, as long as at least one team member can come to the conference, should the team make it to the final round. The official language of the competition is English. 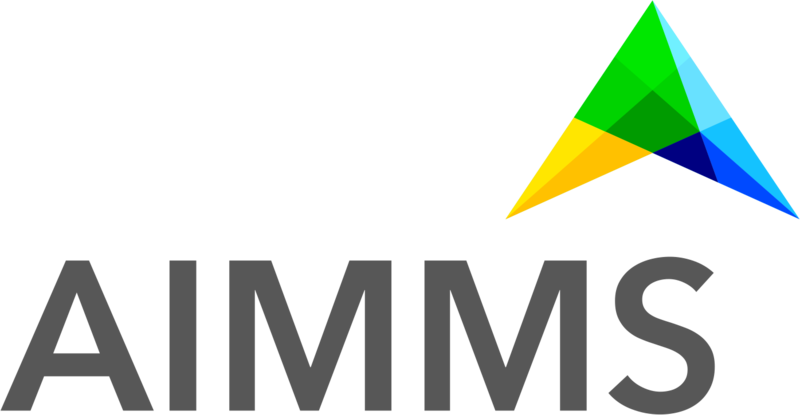 After your team has registered, you will receive license files and download paths for AIMMS software. There is no deadline for registration, but there is a deadline for the submission of your solution. If you have questions about the problem or the competition format in general, please contact Boris Defourny at defourny (AT) lehigh.edu. If you have questions about the AIMMS software and licensing related issues, please contact support (AT) aimms.com. The competition consists of a few stages. In the first stage the teams are asked to construct models and solution methods (see the problem description above) using AIMMS. They must submit a complete solution to the problem, including: implementation of models in AIMMS, including a graphical user interface, providing the user with graphical and textual output; solutions of the models for the given data sets, and those for other data sets generated; a maximum 15 page report that discusses the models developed (along with mathematical background), the solutions obtained, and further recommendations. A panel of judges, including representatives from both the conference organizing committee and AIMMS evaluates the submissions, provides feedback to the teams and invites finalists to continue in the second stage of the project and present their work at a dedicated session of the conference. In this second stage, the finalists will receive advice from the panel on ways in which they can improve their model and solution and have time before the conference to continue to improve their solution. After the presentations at the conference, the judges will ask questions. The finalists are ranked based on a combined score for their model, implementation, report, solution, oral presentation, and answers to the judges’ questions. The decision of the judges is final and cannot be appealed. Each finalist team will receive free registration for the conference for up to two team members. In addition, a cash prize will be awarded to the team that wins the overall competition. By submitting an entry to the competition you agree that the organizers own the copyright to a copy of your submission. This does not limit your rights to publish your work, give talks, posters, etc., but grants the organizers of the competition the right to use your work.